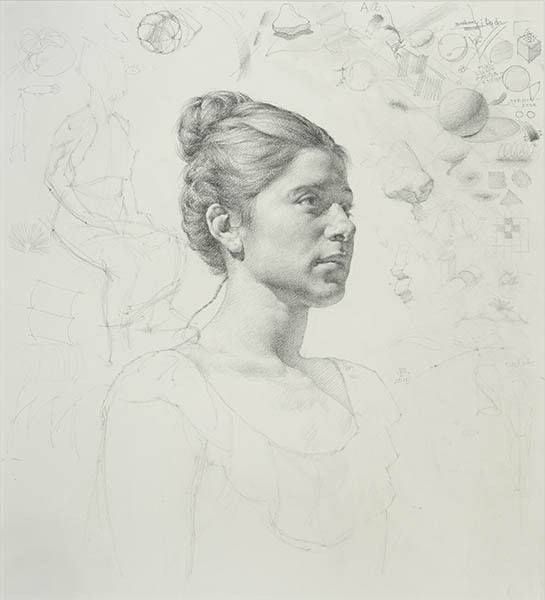 Every year, the Ryder Studio in Santa Fe works with a small group of students on the fundamentals of realist representation. Ryder Studio emphasizes drawing, in teaching students to observe the fall of light on the subject. At Argos we’re a studio for the drawing-driven art of intaglio printmaking, and host open life-drawing groups. We’re therefore pleased to present a yearly exhibit by the students at Ryder Studio, supported by examples of work by their instructors.